“Innumerable times a whole Christian community has broken down because it had sprung from a wish dream. 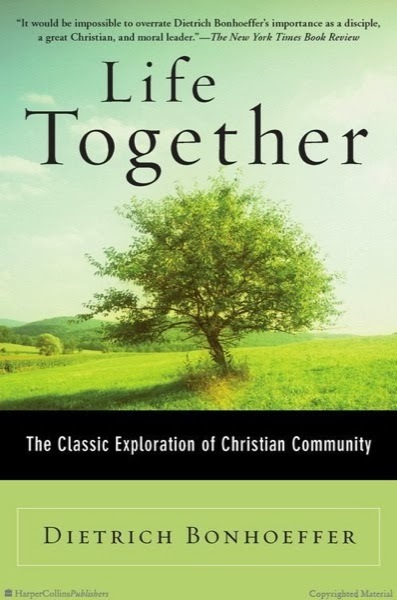 The serious Christan, set down for the first time in a Christian community, is likely to bring with him a very definite idea of what Christian life together should be and try to realize it. But God’s grace speedily shatters such dreams. Just as surely as God desires to lead us to a knowledge of genuine Christian fellowship, so surely must we be overwhelmed by a great disillusionment with others, with Christians in general, and, if we are fortunate, with ourselves. Yes, I have many times built ideal dreams of the Christian community in my mind, and yes, the reality is different; but as I have been given the grace to see the imperfections in it and not deny them, I have loved it even more. 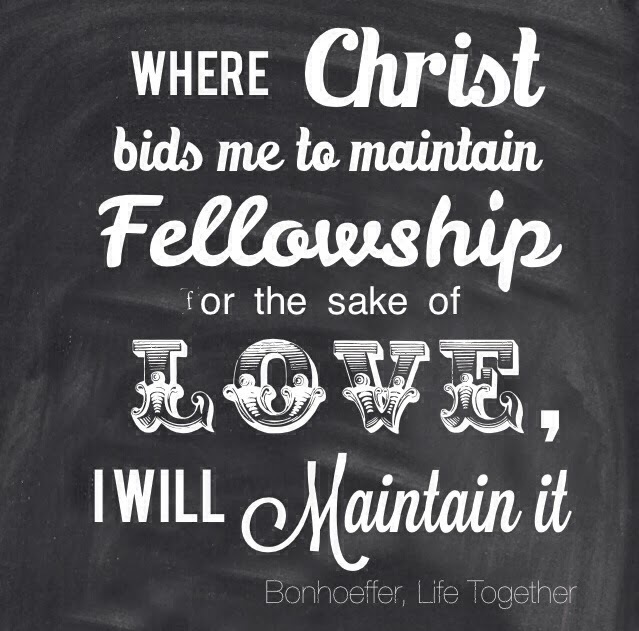 This entry was posted in Bonhoeffer, Books, Conversation, Daily Life, Exhortations, Grow_Build_Edify by Becky Pliego. Bookmark the permalink.